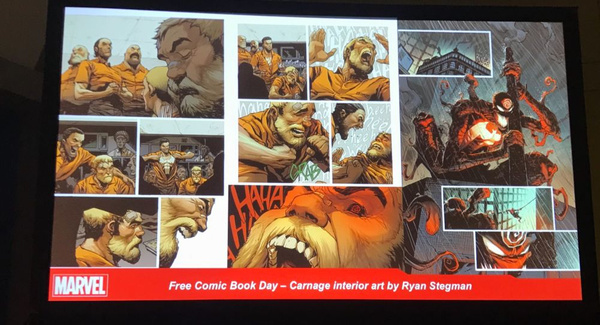 "Will we see Rex Strickland from the beginning of your VENOM run again?" 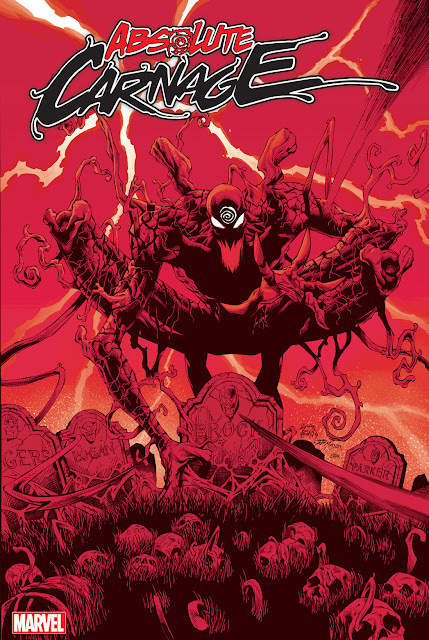 "Since all symbiotes are descended from a god, does that make Venom a demi-god?" "Will Norman Osborn ever make an appearance?" "How many former hosts will show up in this event?" "Will any symbiotes gain new hosts?" "Yes. There is one character we are excited to unleash." 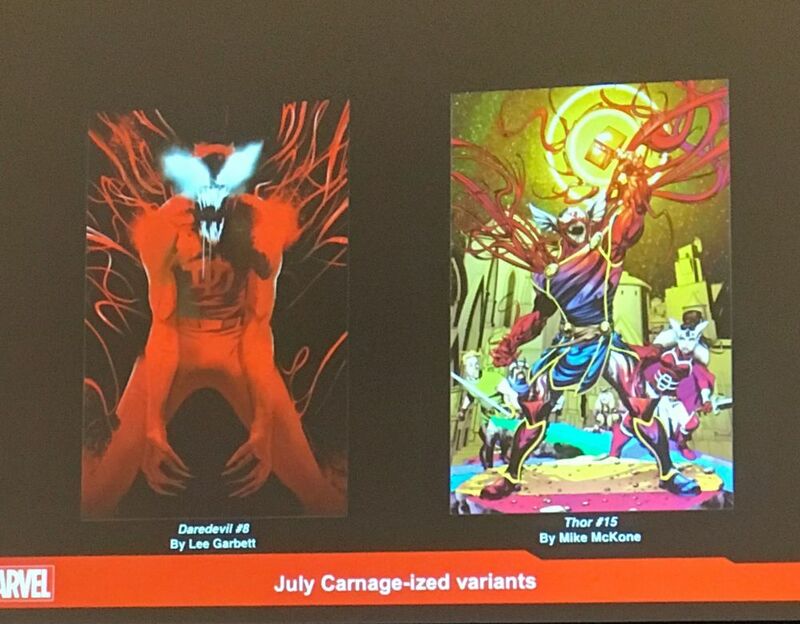 And Marvel are going to be putting Carnage pages in the backs of ten different books similar to the Where’s Wolverine back ups from last year. Will you be purchasing all of the main story, tie-ins, and variant covers? 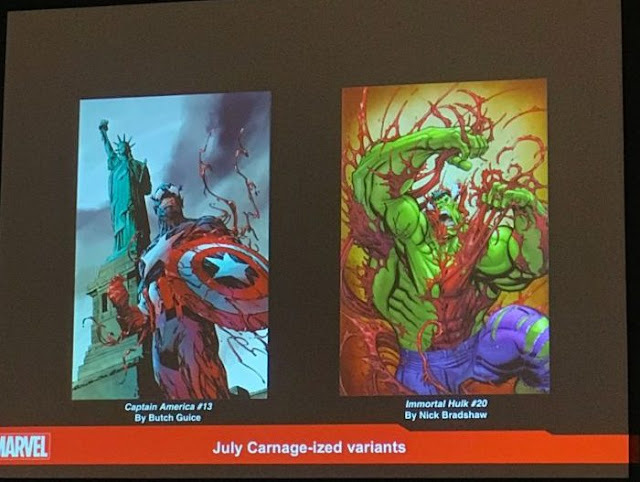 Start saving now, this summer is going to be expensive, Venomaniacs! !